Panatex glass fibre tapes are used in the production of energy and submarine cables, motors and transformers, electromagnets, electrotechnical sector in general, electric heating pipes and cables, flexographic printing and fibreglass. It is renowned above all for the efficiency of the service and for the production of high quality tapes. 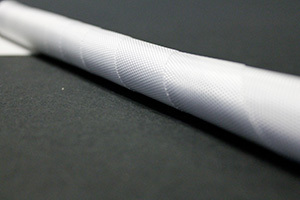 The glass fibre is processed through the use of high-technology looms: the thread is finely woven to form a tape with a smooth, compact appearance. 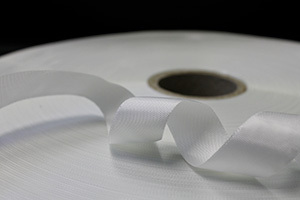 The tape produced in this way is subsequently packed in rolls of various lengths: from 50 to 1,500 metres, based on the needs of the final user. 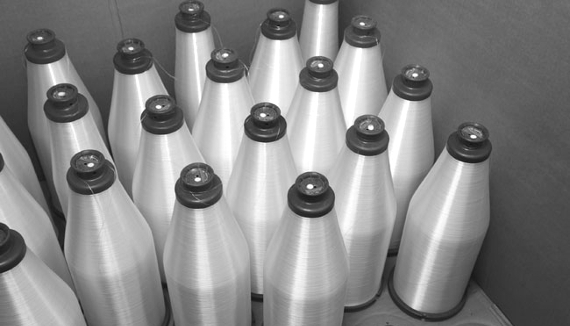 New packages are available on flanged cones in sizes of 200 x 400 mm and 400 x 400 mm. This particular packaging allows the customer to work with longer measurements, thereby avoiding excessive machine stoppages during the working process. 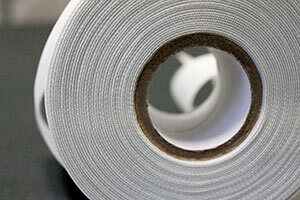 Small rolls are preferred by those who use the tape by hand, while the longer rolls and coils are usually chosen by those who use it on machinery. 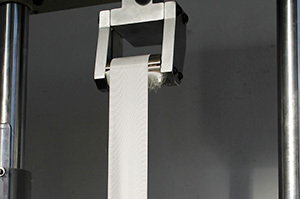 Woven tape, produced with glass fibre. Heights available: from 10 mm to 50 mm. Packaging: rolls from 50 mt to 1000 mt. Reinforcement with Silane is a treatment the glass fibre undergoes in order to give it special characteristics. 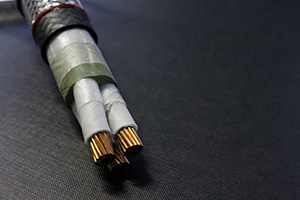 Poor conductivity makes the glass fibre tape an excellent electrical insulator: indeed, it is used to insulate electrical wires, such as, for example, the copper wires inside electromagnets and cables. 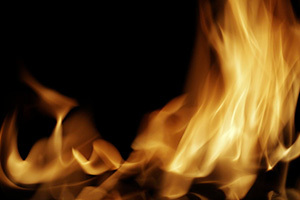 With its high resistance to temperature, it acts as a barrier against flames. Electrical wires are “bundled” in a spiral sheath so that the individual components do not come into contact with each other. This process enables any electrical discharges to be contained and avoid the propagation of fire. The reduced thickness of the tape, which ranges from a minimum of 0.09 mm to a maximum of 0.4 mm, enables a reduced volume during use. The high degree of flexibility allows the components around which it is wrapped to maintain great flexibility without rigidity. The glass fibre tape possesses excellent resistance to traction. What makes this tape mechanically resistant is the fact that it is made with the use of very a high quality raw material (glass fibre) and is designed and made with avant-garde technologies. Glass tape performs a protective function on cables. It covers and insulates the core and most delicate components of the cable that require protection against high temperature and external agents in general. Its specifications make it a very versatile product, especially in regard to the fields of application. Indeed, this tape is used in various sectors: in the manufacture of motors, transformers, magnets and cables. It can be produced in different heights and thicknesses depending on the use and the need for insulation.